Premier League giants Liverpool are reportedly in the desperate move to capture Dutchman Jasper Cillessen, who is Barcelona’s second-choice goaltender. The Reds are hoping to have a stronger goalkeeping department than what they had during last season and they are making moves to ensure that achieve their goals for the upcoming season. 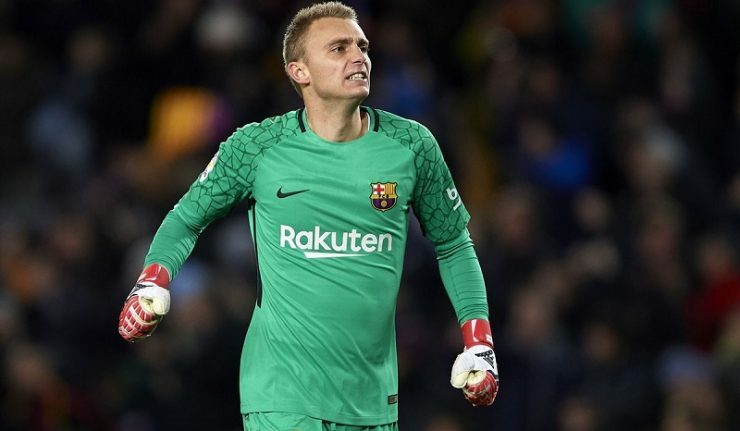 Cillessen, 29, experienced lack of game-time with the Catalans during the previous season as he was made to watch all League matches from the substitute bench. According to Spanish media outlet Mundo Deportivo, the Dutchman is willing to move out of Camp Nou this summer as he seeks a regular first-team action in the upcoming season. The reports also suggest that the Anfield stadium might be his next destination as Jurgen Klopp is ready and willing to offer huge money for the goalie before the end of the current transfer market. Meanwhile, Klopp still remains coy to signing either Alisson Becker of Roma or Jan Oblak of Atletico Madrid. Both players were initially linked with the Merseyside club during the winter transfer period but it appears to be a mere rumor as their were no further report about their potential move to the Reds. As for Cillessen, moving to the Anfield stadium will provide him with the chance to rejuvenate his career. He would hope to make Klopp’s starting lineup in the upcoming season, which is very much likely to happen considering Karius Loris’ inexperience and also the fact that Simon Mignolet is on his way out of the club. The 40-capped Barcelona goalkeeper could cost the Reds a whopping sum of £60m, according to the same source. Merseyside outfit Liverpool fans are devastated after seeing their English Premier League title rivals Man City thrash Man United in the league cash on Wednesday by 2-0. The Reds fans had hoped on the Red Devils to stop the Citizens so that they can be able to land the EPL title but that did not happen as Man City are currently on top in the Premier League table with a point lead ahead of Liverpool. 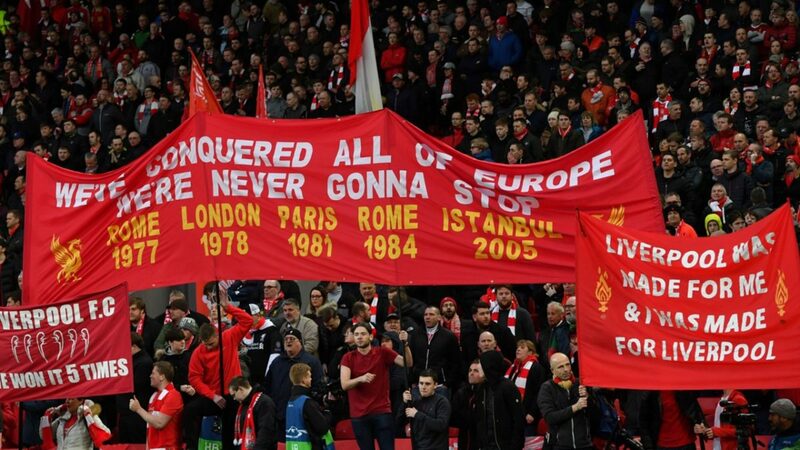 Liverpool fans have therefore alleged suspicion in the game after observing that it was easy for the defending champions to see past United and they have taken to their social media handles to reel out their anger. One fan stated that David De Gea would have had a bet on City to win the league and that is why he gave in that level of display in the encounter. Another fan called for the investigation of the Spanish stopper as he did not believe David De Gea would concede such a goal. However, Liverpool no longer have their fate in their hands as there are no assurances that the Pep Guardiola side will see any defeat until the end of the season. This year would have been the best time for Liverpool to break the deadlock of a 29-year EPL title drought. The suggestions that Belgium international Eden Hazard is sure to join the Spanish La Liga outfit Real Madrid at the end of the season has been dismissed by Chelsea representatives, according to reports. Eden Hazard is reported to have held talks with Real Madrid after refusing to agree on a contract extension with the Blues team because of his wish of fulfilling the dream to work under his football idol, Zinedine Zidane. However, the West London outfit have been reported to be ready to let Eden Hazard leave but on the condition that the Spanish side must meet the asking price of £00 million for his signature. The latest report claims that Eden Hazard has agreed on a £400,000 weekly wage with the Spanish team but that does not mean the deal has been dusted according to reports from the Blues camp as they claim they will not be coming down on the asking price. Meanwhile, Real Madrid are not willing to go that high as they are reported to be coming with a bargain of £86 million which might not be accepted by Chelsea. However, the Blues team have been handed a transfer ban from two coming windows which will make it difficult to have Eden Hazard replaced. Can Chelsea stop Hudson-Odoi’s Bayern move? There are fears that English Premier League outfit Chelsea will not be able to stop England international Callum Hudson-Odoi from leaving the Stamford Bridge at the end of the season. Callum Hudson-Odoi has been advocating for a move away as he was not handed regular playing time at the club under manager Maurizio Sarri but that has changed after the last international break as he has now seen four starts in the league. The 18-year-old has got a number of suitors but German Bundesliga outfit Bayern Munch have shown big interest in the star player as they have stepped forward with three different bids which were all rejected. However, the player has been injured and the Blues are reported to be ready to land him a new deal despite his injury by offering him a £100,000 weekly wage to lure him into staying at the club. While the Blues are yet to have that done, It is yet to be seen if Callum Hudson-Odoi will make a decision to stay or insist on leaving. Meanwhile, it is claimed that the German Bundesliga outfit could be returning with a better deal as they are still keen on having him join the Bundesliga in the coming season. North London giants Arsenal produced another shocking away performance in the Premier League after they were beaten by Wolverhampton Wanderers in their league clash at the Molineux. The Gunners had won just six of their previous 16 away games in the Premier League and they needed at least one point against Wolves to regain fourth spot from Chelsea who had gone into the top four with a 2-2 draw at home to Burnley. Arsenal started the game on the front foot against their hosts but struggled to create chances despite having the larger percentage of the possession early on in the game. Wolves went on to take the lead through Portuguese international midfielder Ruben Neves from a freekick outside the box after Jonny was brought down by Arsenal defender Nacho Monreal. Arsenal collapsed after the 26th minute strike from the aforementioned Neves. Jonny was having an influential game for the hosts after he setup fellow wing back Matt Doherty for the second goal of the game via an header. Diogo Jota added a third goal for Wolves on the stroke of the halftime interval as the hosts scored three goals in 19 minutes against the Gunners. Arsenal pulled one back in the second half through a Sokratis Papasthathopoulos header but it was just mere consolation for the Gunners. 11-time Premier League winners Manchester United have identified a potential replacement for David De Gea according to widespread publications from the media in the United Kingdom. 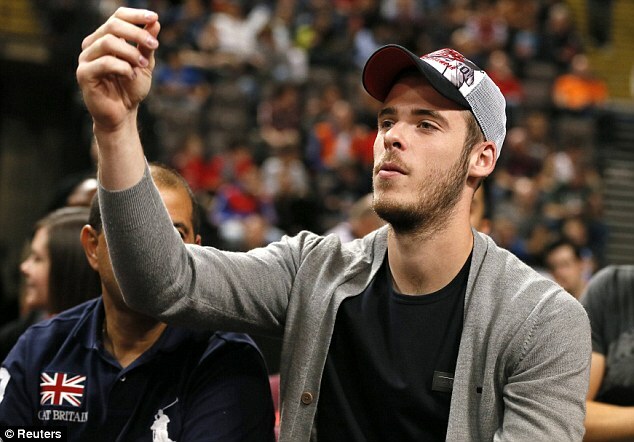 Manchester United shot stopper De Gea has been at the club since the summer of 2011 but he could end his eight-year stay in Manchester this summer. The Spaniard has one year left on his current deal with Manchester United and both parties are struggling to reach an agreement over a new contract. 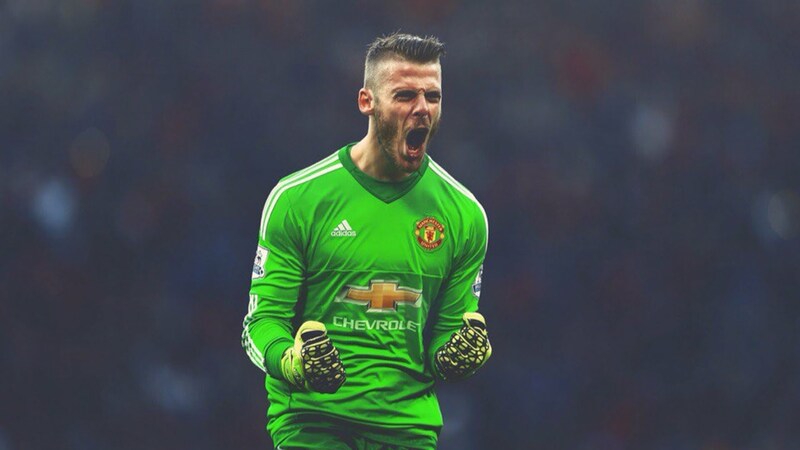 David De Gea initially had few months left on his Manchester United contract until the club activated the extra year clause earlier this season to take the length of his current deal to the summer of 2020. If he fails to sign a new contract, Manchester United will have to decide whether to sell him this summer or risk losing him for free next summer. According to the report from Metro, Manchester United have already started to draw up a replacement for him in the event that he leaves the club at the end of the season. It was revealed that Atletico Madrid goalkeeper Jan Oblak is the first choice on the list of goalkeepers that could replace David De Gea at the club. Jan Oblak recently signed a new contract at Spanish club Atletico Madrid. Manchester City manager Pep Guardiola has drawn high praise from his Manchester United counterpart Ole Gunnar Solskjaer after he masterminded the Derby Day defeat of his team. Solskjaer praised the remarkable job done by Guardiola at Manchester City in his post-match thoughts after Manchester United were beaten at home. The Red Devils lost 2-0 to Manchester City to leave their top-four hopes hanging with just three games to go between now and the end of the season. Manchester City needed to win the game to boost their quest to win a second consecutive league title and that’s exactly what they got via a strong second half performance. The Premier League champions took a big step to becoming only the third team to win the league title and also retain it the following season. Manchester City got their goals in the second half through Bernardo Silva and substitute Leroy Sane. The win took Manchester City to the top of the Premier League table ahead of Liverpool as the race for the league title reaches feverpitch with three games left before the season ends. They secured an 11th successive win with the victory over Manchester United. 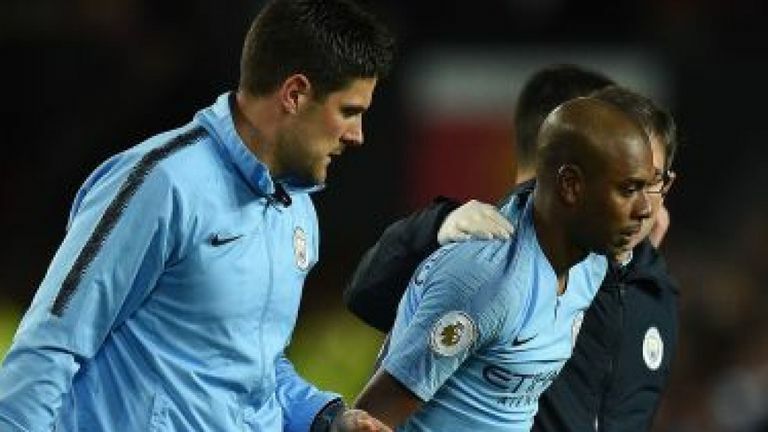 Manchester City midfielder Fernandinho will undergo a scan on the knee injury he sustained later on Thursday to know the extent of the problem. Fernandinho suffered a knee injury during the Manchester Derby clash between his Manchester City team and Manchester United. He was subbed off the game as a result of the knee problem. Fernandinho was replaced by Leroy Sane who went on to score the second goal as Manchester City beat Manchester United 2-0 away from home to strengthen their bid to retain the Premier League title that they won in record-breaking style in the last campaign. Manchester City were frustrated in the first half of their game with Manchester United before their quality came through in the second half. Bernardo Silva showed why he has been nominated for both the PFA Players’ Player of the Year and PFA Players’ Young Player of the Year when he produced a moment of real quality to give Manchester City the lead in the second half before the aforementioned Sane added a second goal off an assist from Raheem Sterling. The result was more than enough to take Manchester City above title rivals Liverpool at the Premier League summit with three games left to play this term. Manchester United manager Ole Gunner Solskjaer has confessed that it hurts to see city rivals Manchester City dominate the Premier League and that the champions are far above his team. Former Red Devils striker Solskjaer made the confession during his post-match press conference after the league match between Manchester United and Manchester City. 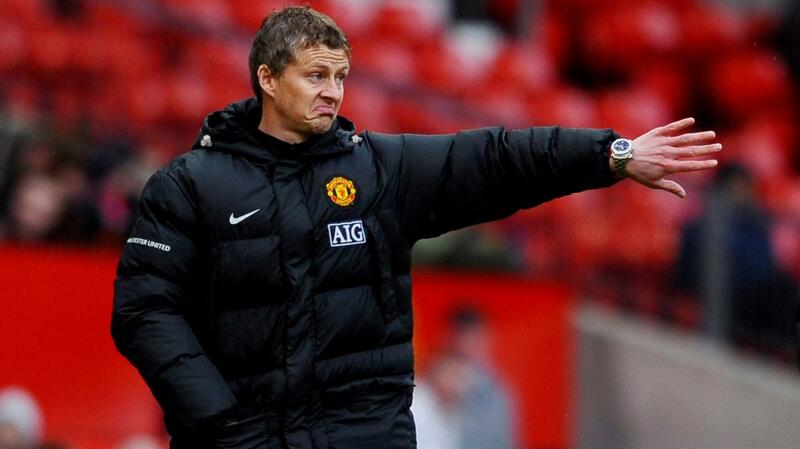 Solskjaer was corroborating the opinion of one of his former Red Devils teammate Roy Keane. According to Roy Keane, Manchester City are a class above their city rivals Manchester United. The ex-Manchester United skipper talked about the big difference in quality between Manchester City and Manchester United while he was reacting to the Manchester Derby defeat handed to his former club. Manchester United were beaten 2-0 at home by Manchester City at the Theatre of Dreams on Wednesday night. After a goalless draw in the first half, the superior quality of Manchester City came through in the second half. Manchester City forward Bernardo Silva beat David De Gea in goal for Manchester United to give the visitors the lead off an assist from Ilkay Gundogan. Substitute Leroy Sane added a second goal for Manchester City to clinch a 2-0 result that sent them to the top of the Premier League table. Manchester United have now lost the last three games in all competitions scoring zero and conceding nine goals. Arsenal manager Unai Emery is upbeat about the chances of a top-four finish at the end of the current Premier League season. The Gunners boss is not giving up a place in the top four of the Premier League despite a second successive league defeat at the hands of Wolverhampton Wanderers on Wednesday night. During his post-match press conference after the game, Unai Emery preferred to focus on the collective rather than pinning the blame for the goals conceded against Wolves on individuals. Arsenal goalkeeper Bernd Leno was at fault for two of the goals as Wolves beat Arsenal for the first time in 40 years via a 3-1 win at the Molineux. The Gunners have now lost seven games away from home in the Premier League this season as their wretched form on the road is showing no signs of ending. Ruben Neves gave Wolves the lead in the 29th minute from a freekick before Matt Doherty added a second goal for the Midlands club. Diogo wrapped up a 3-0 scoreline for the home side at the halftime interval. Arsenal conceded those three goals within the space of 19 first-half minutes. Gunners defender Sokratis Papasthathopoulos pulled one back in the last ten minutes but it was too late to rescue Arsenal from the claws of defeat.